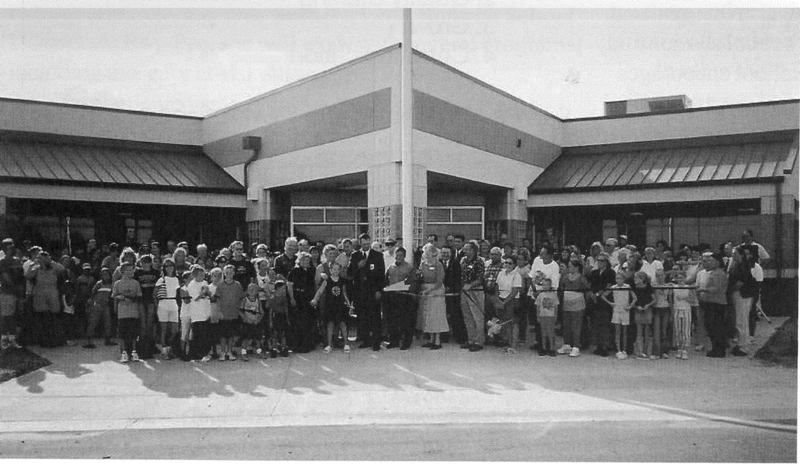 This was our first year at Eagle Glen Intermediate, our brand-new building. 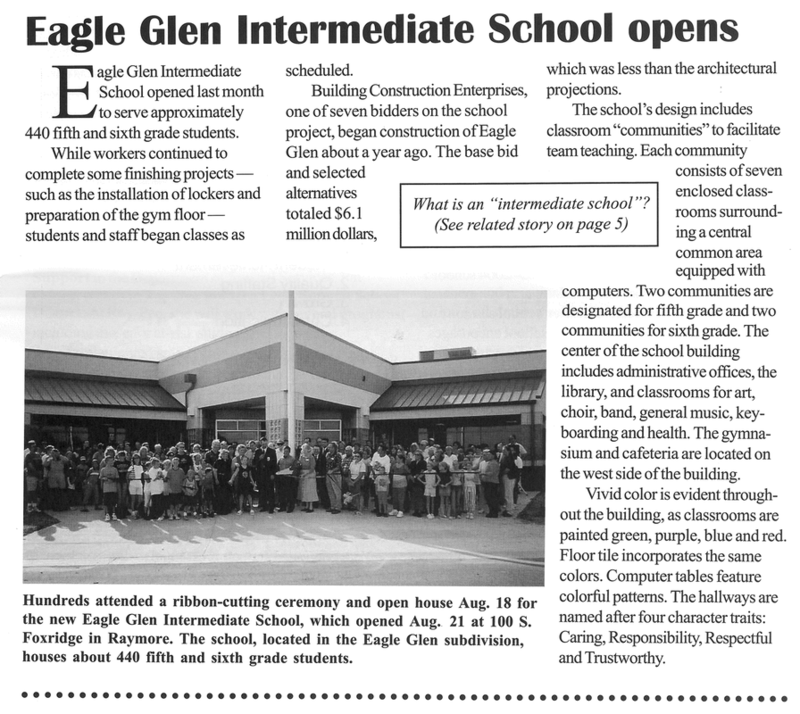 Previously located at Shull 6th Grade center, Eagle Glen Intermediate was designed to support students grade 5th-6th. 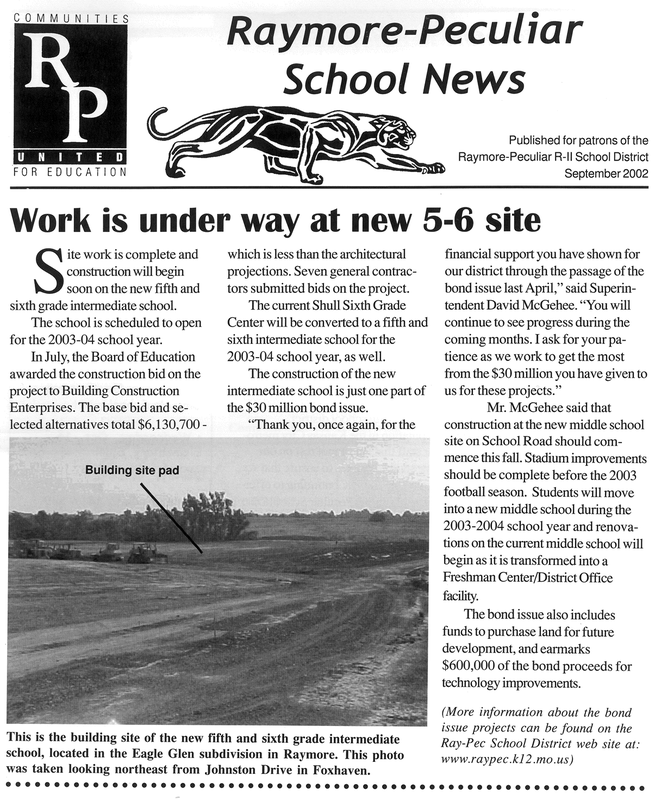 The former Shull 6th Grade Center became the 5th/6th Grade center for the Peculiar side of the Ray-Pec campus. Mrs. Sherrie Piedmonte was our principal who came from Shull 6th Grade Center. ​Fast forward...2016-2017 school year: This is Eagle Glen's LAST year as an intermediate school. Next year it will become an elementary school along with Bridle Ridge Intermediate. There will be two middle schools (South and East) with grades 6th-8th. The high school has a brand new addition to accommodate all students 9th through 12th grade. The ribbon cutting ceremony took place August 18th and the building opened August 21. 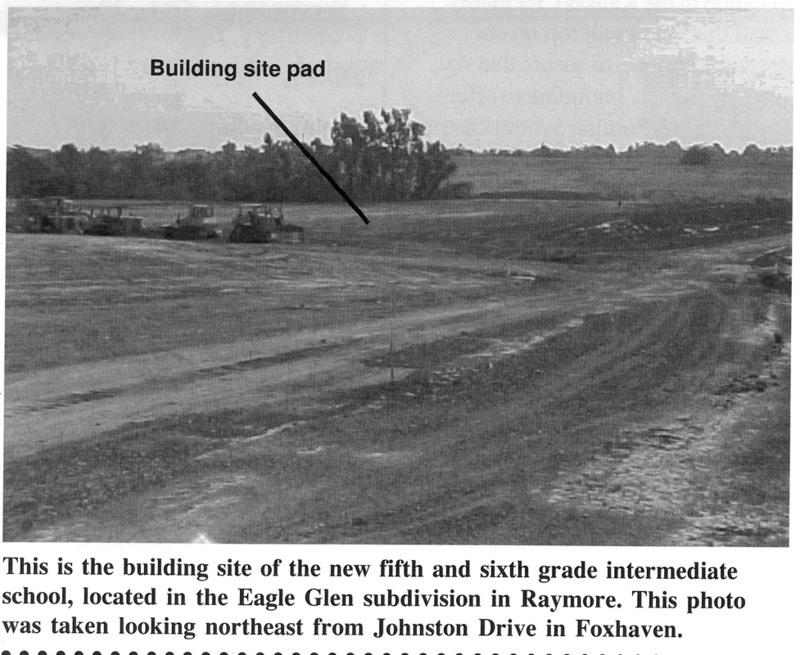 Eagle Glen Intermediate School principal was Mrs. Sherrie Piedmonte and Dr. McGehee was the superintendent at that time. 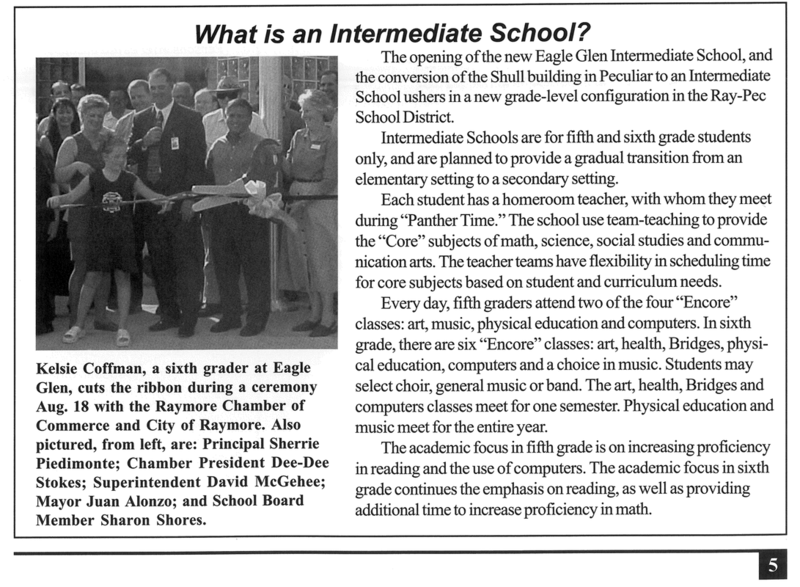 Kelsie Coffman, 6th grade, cut the ribbon at the August 18th ribbon cutting ceremony for Eagle Glen Intermediate.